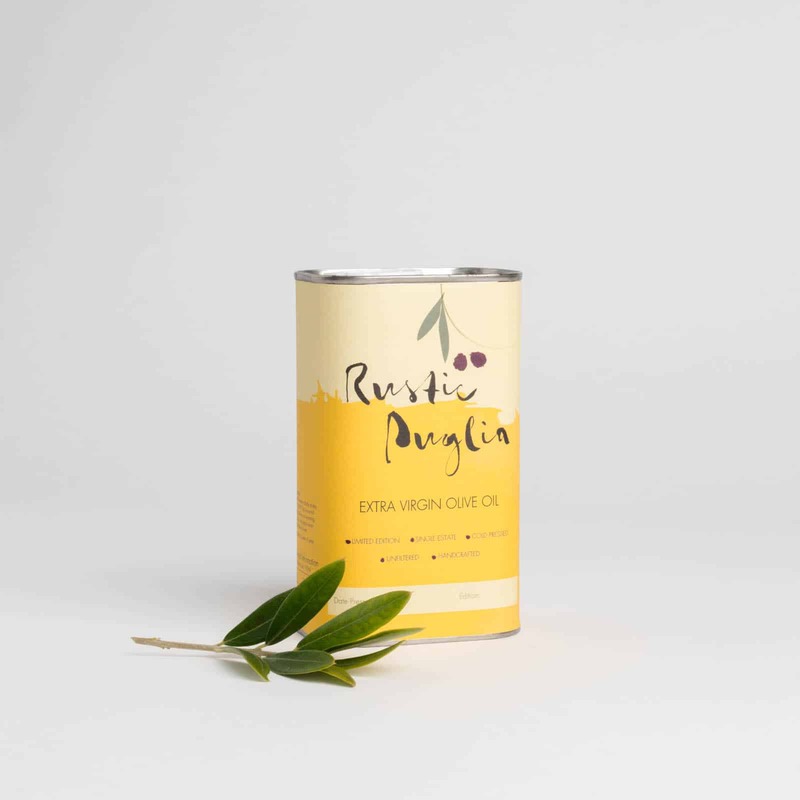 Rustic Puglia has been harvesting olives since 2009. 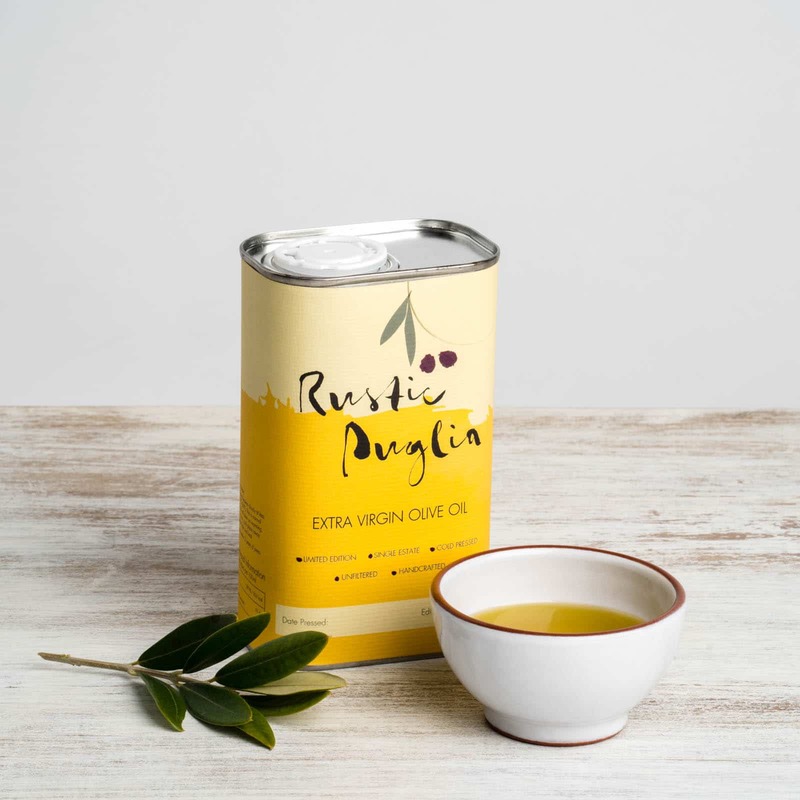 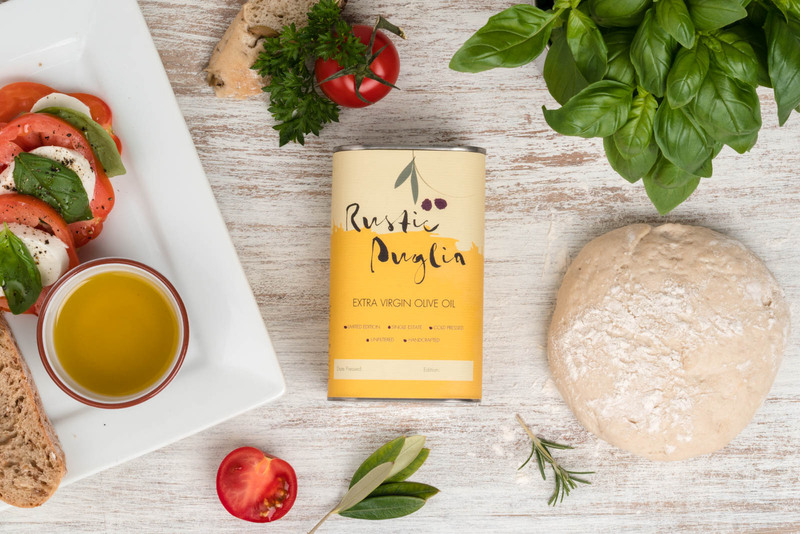 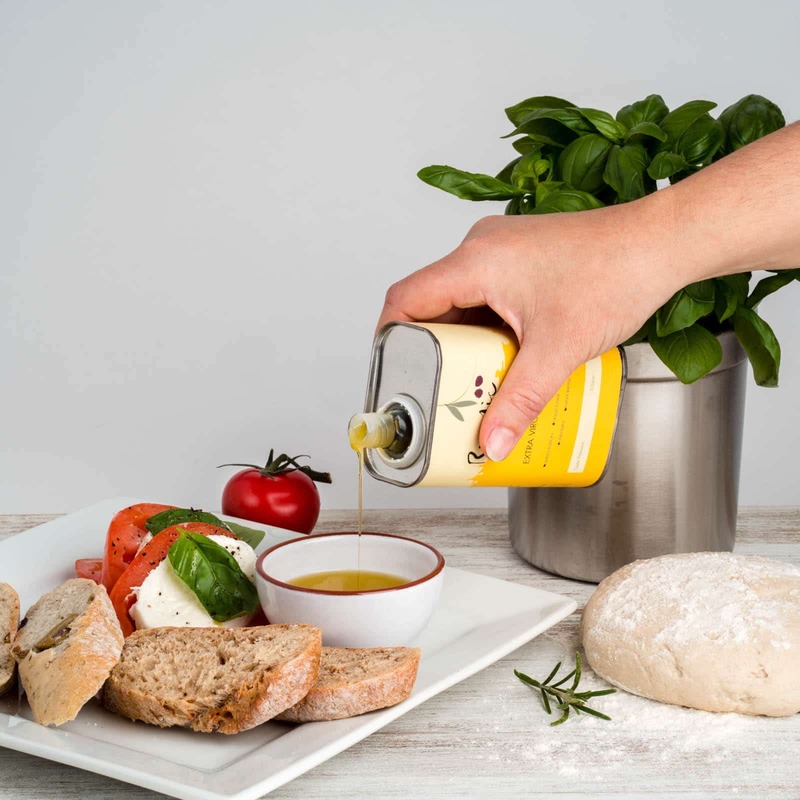 They Produce delicious organic extra virgin oil which is hand-picked and stone ground in limited edition quantities, all on location in southern Italy. 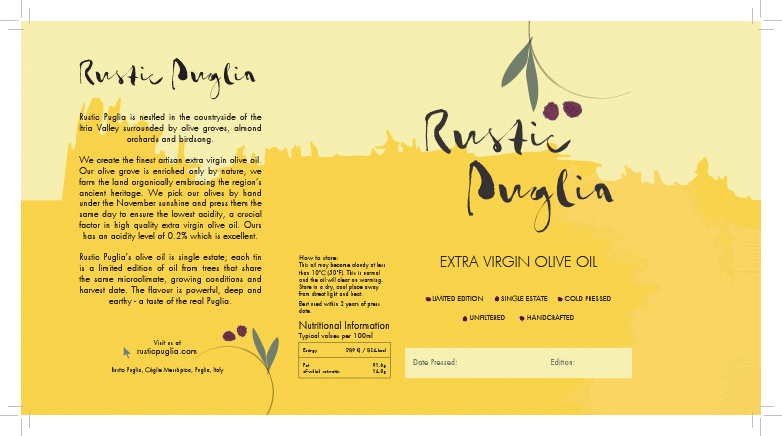 Claire & Andy wanted help to bring an existing logo to a full label design for the olive oil tins. 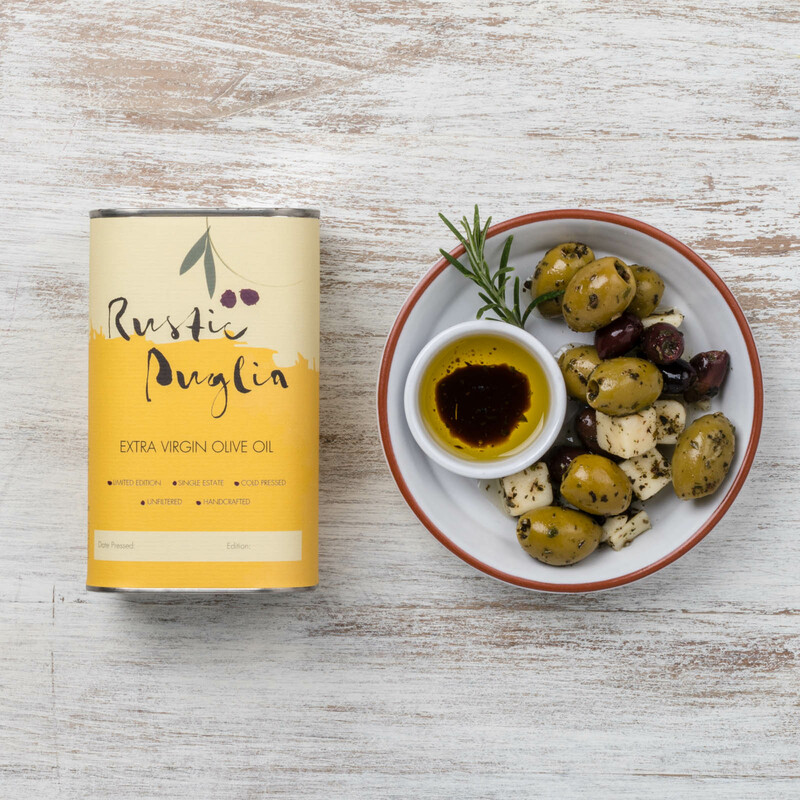 We also produced a series of studio and lifestyle shots to really show off not only the packaging but also the artisan product. 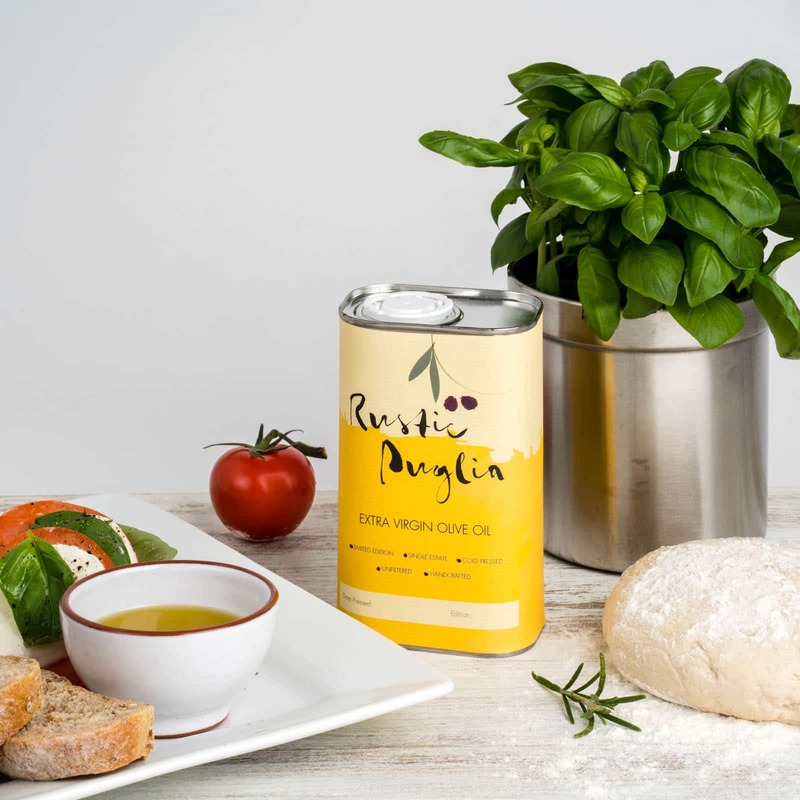 For more information or to buy some of their delicious olive oil, it is available here. 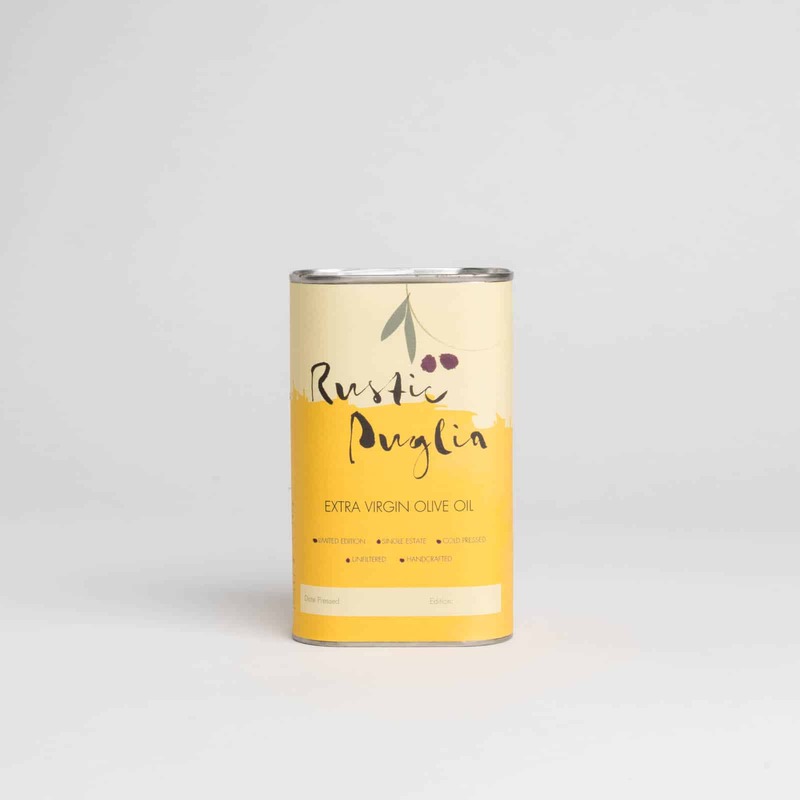 We wanted to create a strong visual impact while remaining true to the brand’s rustic, handmade quality. 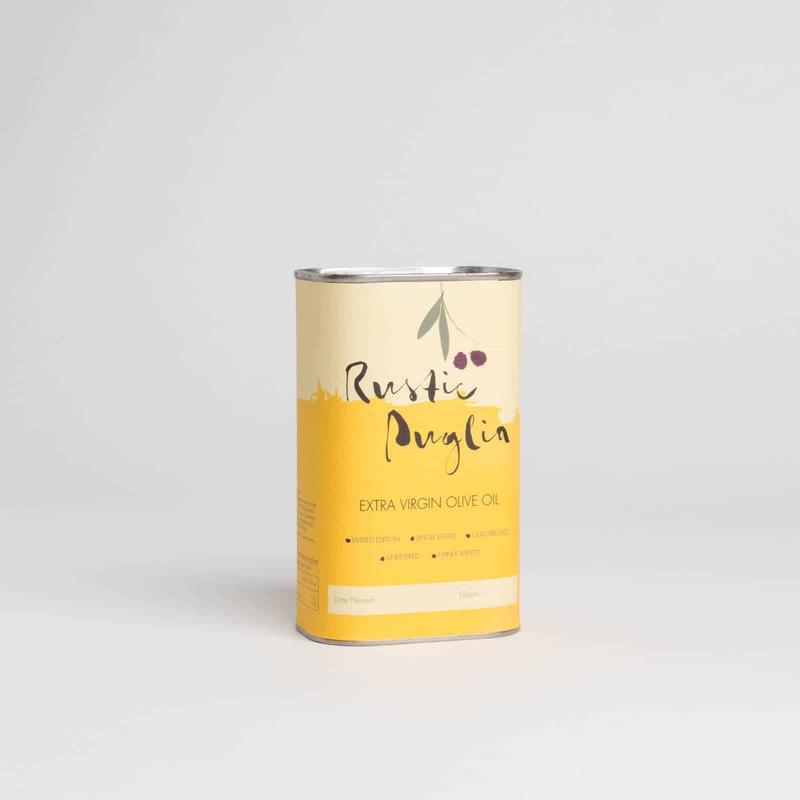 A combination of slick design with textured papers creates the true feel of Rustic Puglia. 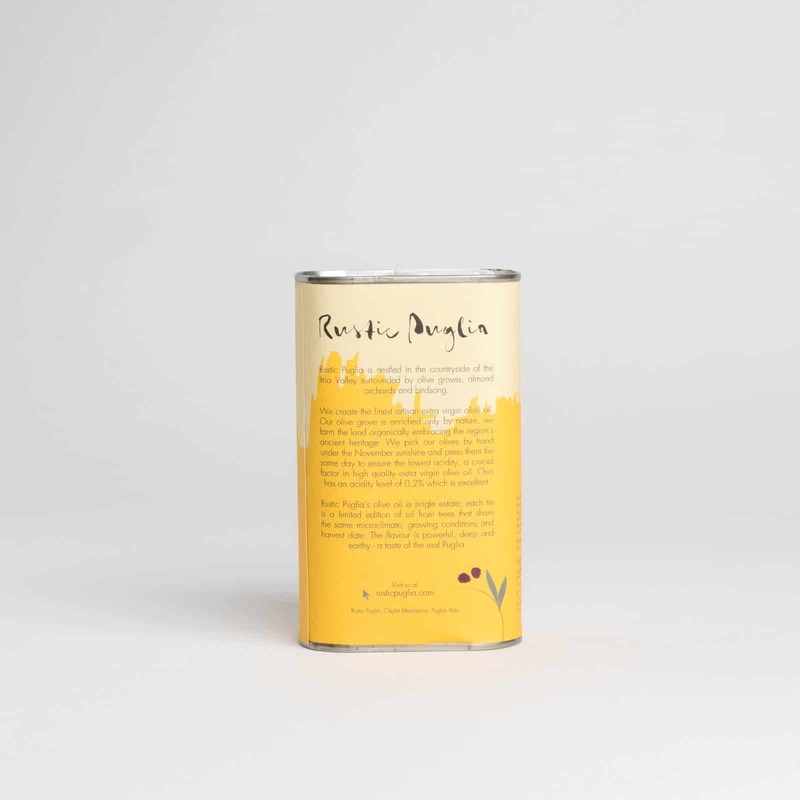 “F8 has been working with us for a year on different aspects of creativity, design and marketing for our business.